Here is a detailed article about the making of the video game Metal Gear Solid 4. 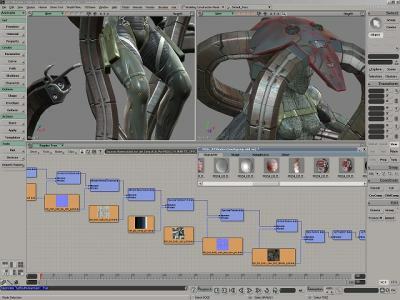 It talks about the work of technical 3D artists as well as the work and the role of programmers. 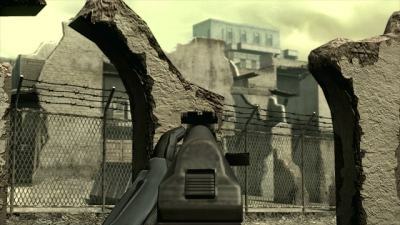 In the development of MGS4, about 100 staff members were involved in the 3D content production. Extra personnel were added during busy periods, and by the final phase of development over 180 people were working on the project. By the end there were as many 40 programmers working on MGS4, including the work required for online compatibility. Most of the programmers in MGS4 performed programming work related to game processing, while at the same time developing in-house tools to support production. They developed a wide variety of tools to make work easier for the designers. These tools include the previously mentioned lighting editor, a preview environment with the same quality as the console, and their own particle engine and particle editor. Kunio Takabe explained that turning the environments, expressions and request items that the designers ask for into reality is an important role for the programmers. This means that good communication and mutual understanding is very important.